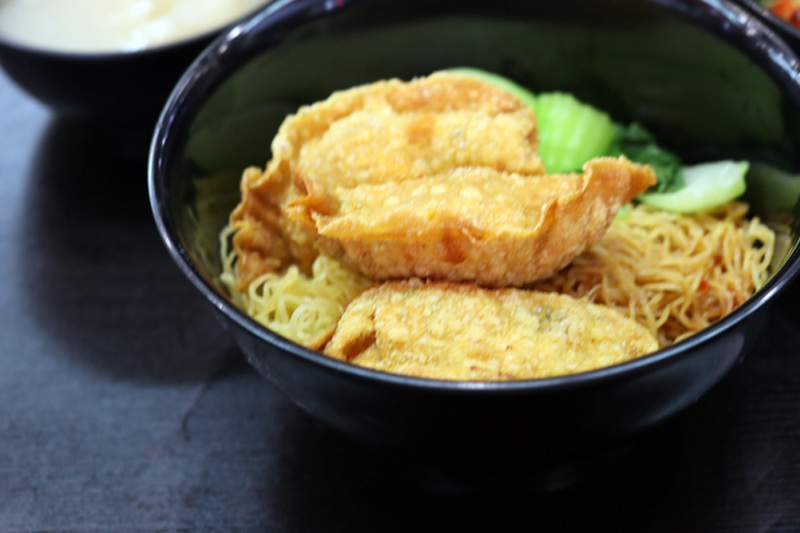 Tanjong Rhu Wanton Mee 金记丹戎禺云吞面 at 4A Jalan Batu is known for its old-school style wanton noodles, enjoying long queues especially after being featured in a number of TV shows and media reports. 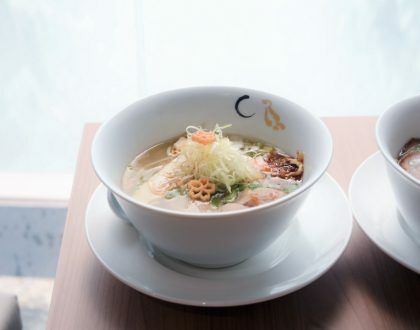 There appears to be a number of branches (or franchises) around, from Blk 266B Ang Mo Kio Avenue 1, Blk 722 Clementi West Street 2, and West Coast Plaza Level 2 food court. 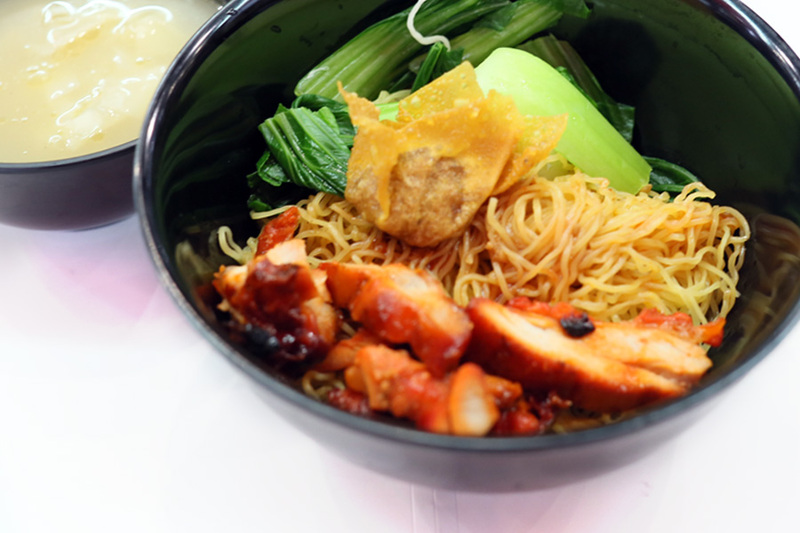 It is not all the time you can find inexpensive food around this area – other than at the kopitiams which can be hotter, so a $4.50 plate of Wanton Noodles is a welcomed change. Other items on the menu included Dumpling Noodles ($5.50), Fried Chicken Wing Noodles ($4.50), Curry Chicken with Rice ($6.50) and Fried Chicken Wings ($5.90). 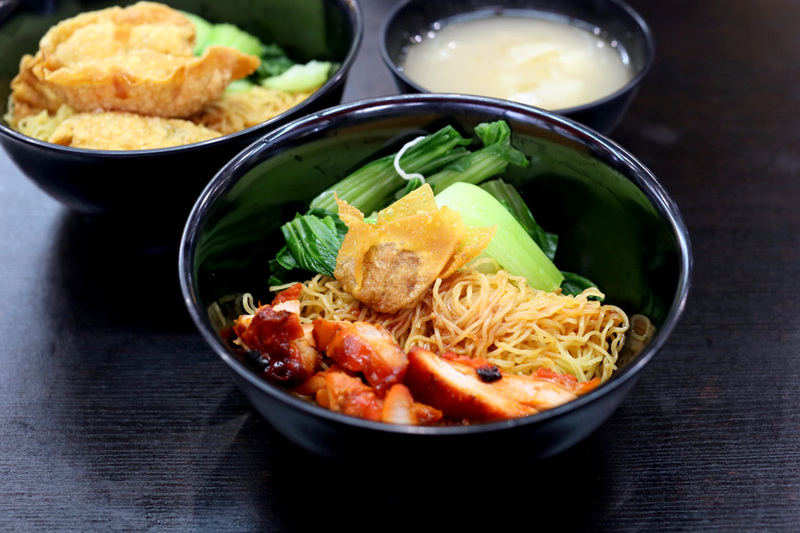 Before I go, we should acknowledge that there are different schools of Wanton Noodles in Singapore – some Malaysian style with more use of black sauce; Thai Bak Mee Moo Daeng which emphasizes on the use of pork lard and minimal seasonal; or soupy Hong Kong Wonton Noodles. Tanjong Rhu’s version reminded me of those I used to have in the old kopitiam – thin egg noodles, not too much seasoning and came alive with the mix of chilli sauce and lard oil, while the rest of the ingredients were just less impressive. The draw was the springy noodles with a firm bite. 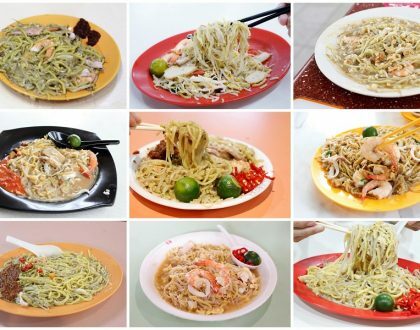 If you prefer your noodles to be softer or chewier, then this won’t be your preference. The soup was comparatively peppery – not bad. 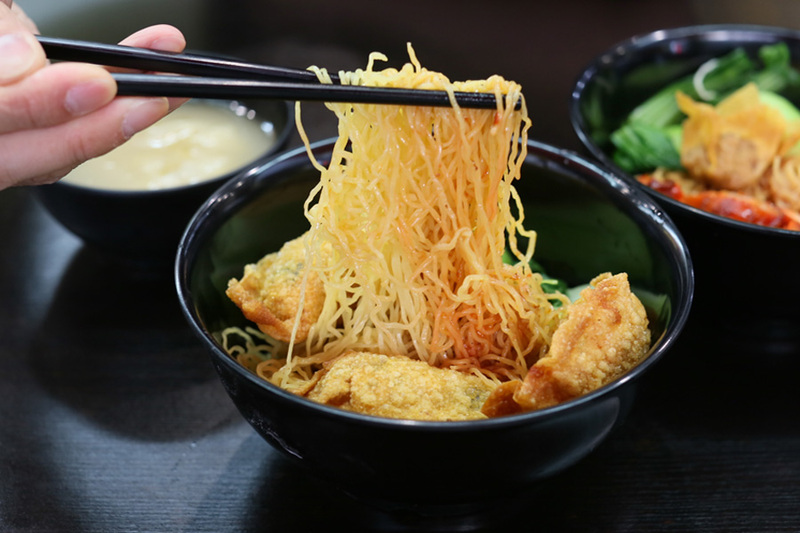 As for the Dumpling Noodles ($5.50), the deep fried dumplings came packed with ingredients of minced pork, shrimps and black fungus for a light crunch. 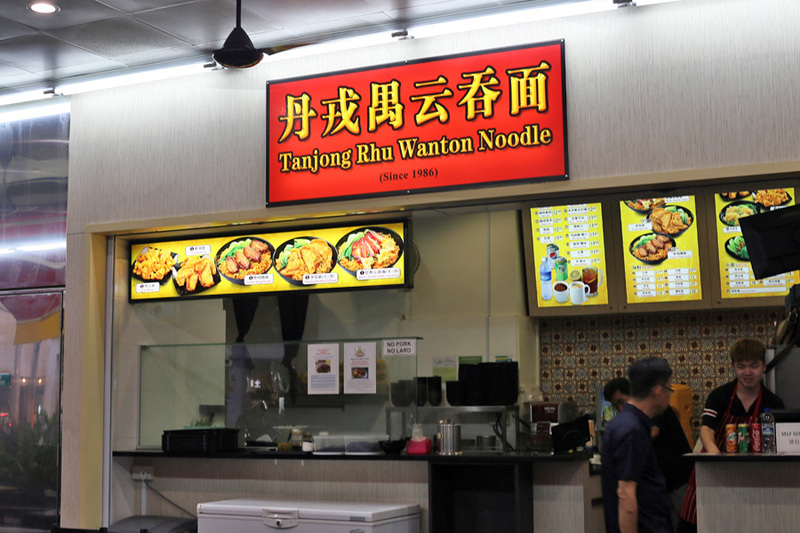 I have read varying reviews of Tanjong Rhu Wanton Mee, and it seems like consistency varies from place to place. Some people may go “nothing special”, but there is a particular draw of this style of noodles, which reminded me of simpler days of life as a child. I am Connie, the in charge of Tanjong Rhu Wanton Noodles in bugis. I came across your posting lately. First of all, thanks for dropping by and we are honoured to have you tasted our noodles. Tanjong Rhu Wanton was set up by my partner, Hong’s mum a few decades ago. Hong,being the eldest of the family, with 30 years of experience has since started his own chain of stalls. Therefore, here we are in Bugis. Currently, there are 10 establishments under this umbrella and Hong and his mother are in good terms and talks are going on for future joint ventures. The stall in Jalan Batu, however is not related to us. It was one of the very early arrangement as the owner was once Hong’s worker. 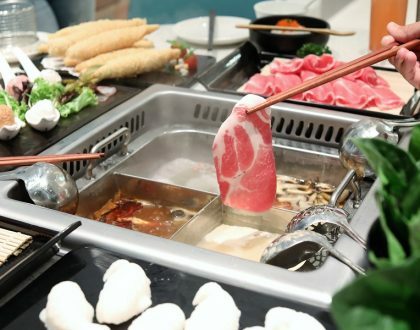 As we are growing, the recipes and seasoning have evolved a lot to achieve higher standards and part of our new initiative is the pork free version that you tasted in Bugis. We would love to share more brand stories and struggles we faced today to maintain a good old school taste and yet moving into a uniform SOP and operation style. 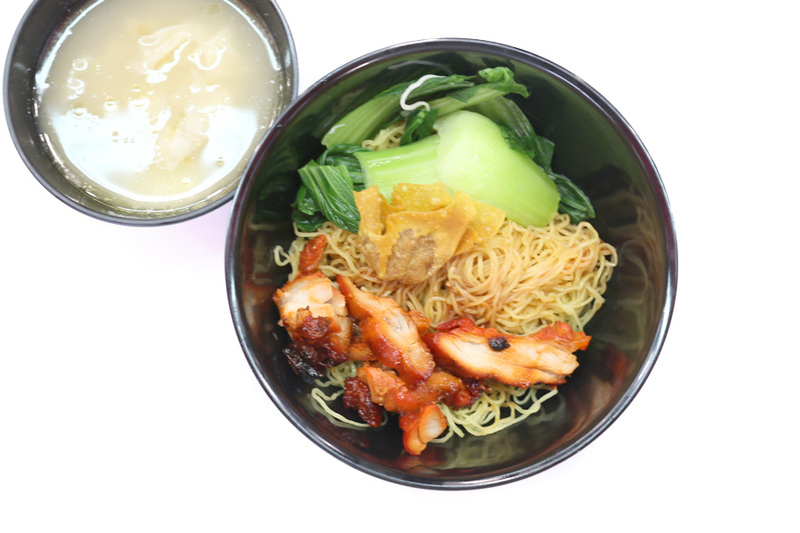 Do feel free to drop by again or we would like to present to you our improved pork wanton noodles recipe. One of the secret is the special recipe pork lard. Perhaps, a food tasting will be the best proof to set us apart from others.